UPDATE: Andrew Steven Harris has published a blog post about this cover, which is by Robert Atkins. 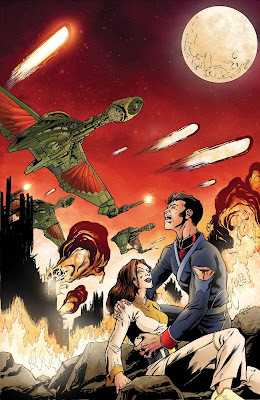 The chap in the foreground is apparently Wesley and it was inspired by an old Battlestar Galactica cover, fascinating. 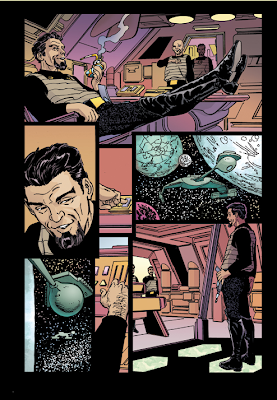 Meanwhile, John Byrne has released a newly-colored page from Romulans: The Hollow Crown (though the page in question features Klingons) and has commented that the second sequel to his Romulan Alien Spotlight due next year will be "something somewhat longer" than the forthcoming two-parter.